We knew it wouldn’t be long before the cats figured out a way to get up and walk along the top of the walls. Harry the Farm cat has been up there for a while but so far no other cat has found his/her way up there. 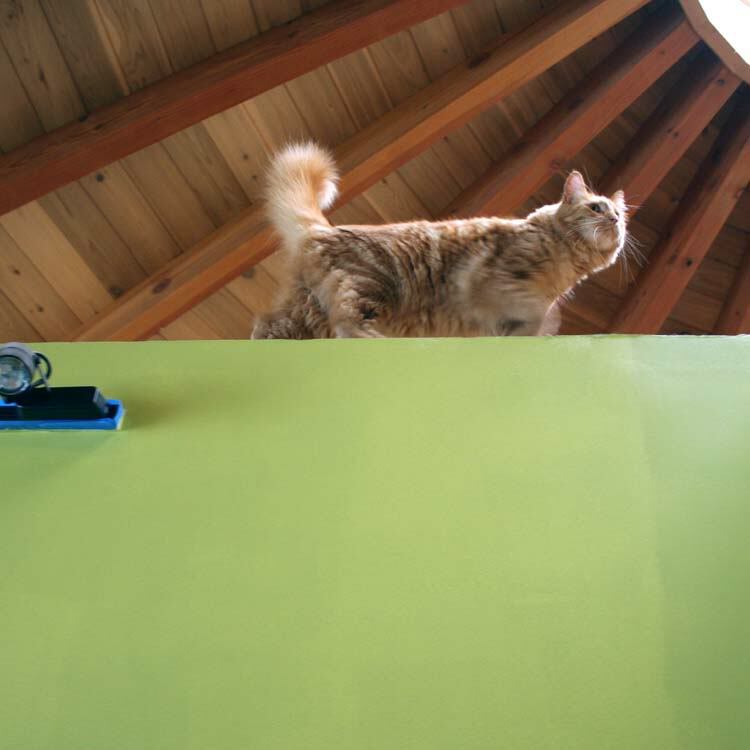 Yes, Sherpa the Farm cat has gotten up on the walls. I found him pacing around up there yesterday. He AND Harry were up there today but the camera battery was dead. The battery is always dead when I want it the most. This always contributes to that “I’m being watched” feeling.